The battle for your connected home just got a little more interesting. Quirky just introduced seven new device, all compatible with their Wink smart-home platform. Now you can tell if your doors/windows/garage door are open (and with your garage door, open and close it remotely), tell if your basement is flooding with a moisture/water sensor, and even control other smart things and dim lights connected to their new smart switch (note: engadget has a full run down of all of Quirky’s “toys”). The fast expansion of the Quirky ecosystem with practical gadgets like these would seem to make it a strong contender for smart home dollars. When I first saw images of the TV, my first thought was, “As a civilization, we really have now gone too far” but then I read a little bit more. Samsung worked Christie’s (auction house) to have an artist back an 78-inch curved UHD TV with an original piece of art done in an Korean lacquer-painting technique….but not for profit. The TV will go for sale and the proceeds will benefit Orbis International, a non-governmental agency dedicated to preventing and treating blindness. The big question is, will the buyer display the work so they can see the TV side or the art side? This week Google announced lots of new family-friendly game apps available for Chromecast. You’ll find classics like Scrabble, and twists on classics like Monopoly Dash, Connect Four Quads, and Simon Swipe.. Heck, there’s even Just Dance Now, two quiz games Big Web Quiz and Emoji Party. To control the games you use your smartphone or tablet when you’re linked to your Chromecast. If that’s not enough for you, Google’s also introduced Showtime Anytime and Starz apps so you can watch their content on demand (I’m assuming if you’re a subscriber). See? Now you know what to do after Thanksgiving dinner is over – play some family games…but in a whole new way. A twenty-dollar bill will get you the newest Raspberry Pi, the Model A+. It is much smaller than the original by 20mm in length, and it also needs less power. Because it’s so small, it could be a popular choice for those looking to make battery-powered devices (and as TechRepublic points out, “The lack of ports relative to the B+ less of an issue for roboticists, who don’t want wires streaming behind their quadcopter.”). If you need some inspiration, Gizmodo offered 16 fun projects you can do with your new Model A+. Stocking stuffer anyone? (Sorry, but that headline had to be done). Amazon and Hachette publishing have ended their battle over ebooks. They announced yesterday they signed an agreement…and interestingly, both sides are being relatively quiet over the deal. 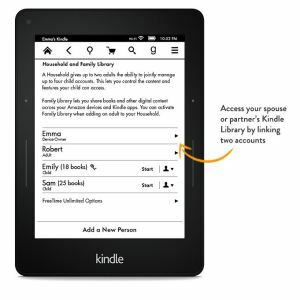 Hachette is saying they got what they wanted—they can set their own pricing for ebooks” but Amazon said that there were some incentives in place which will likely keep Hachette from going too crazy on pricing. Either way, fans of Hachette authors can rejoice as they can now pre-order books and view promotion pages for upcoming releases. While I don’t really need or want one, I can’t help but feel like this is what Kickstarter is for—helping small companies get a start at reinventing something. I spotted a BMW i8 on the highway just last weekend and it’s a head-turner, for sure (in good way, IMO). As a lover of cars and BMWs, I couldn’t resist taking a few minutes to read The Verge’s in-depth of review and if you’re a “car person” you might enjoy it too. Now all I need is six little numbers so I can get my own ;-). It’s called the Van-Gogh-Roosegaarde bike path, it’s in Denmark, and it’s a work of art. The path has a light-emitting paint and it’s embedded LEDs in a mosaic type of pattern (very The Starry Night) so it glows at night. The LEDs charge via a nearby solar array all day, and a day’s worth of charge lasts almost all night (of course, if it’s too cloudy, the path can be lit using regular electricity). The path is a proof-of-concept for this technology which could create roads with illuminated lines. This project took two years, but if you weren’t worried about it looking pretty, I would think this could happen much more quickly. Gizmodo has more photos.